Given the current migration crisis in Europe, I found Article 14 to be particularly interesting. 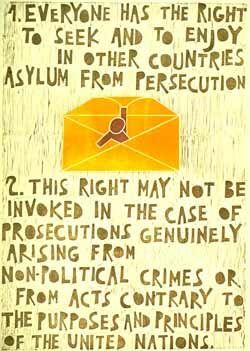 Article 14(1) states: “Everyone has the right to seek and to enjoy in other countries asylum from persecution.” Dangerous conflict and violence in Syria, Afghanistan, and Eritrea, as well as other countries in the Middle East and Africa, have led to hundreds of thousands of people fleeing to Europe to seek asylum. This is considered a crisis both because of the divide among EU countries over how to handle the burden, and because of how many people are losing their lives attempting to make this migration. 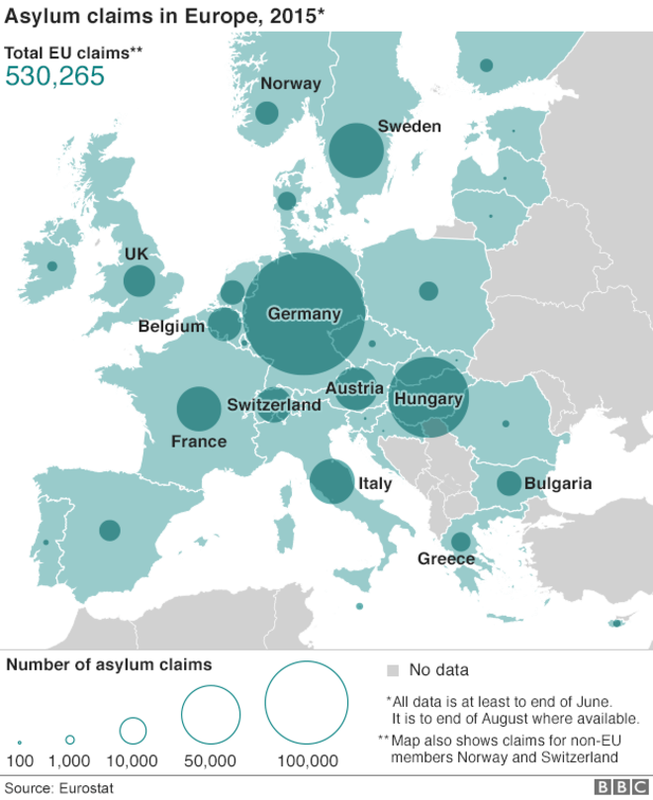 According to the International Organization for Migration (IOM), more than 650,000 migrants and refugees have been detected crossing EU borders so far this year, with over 500,000 seeking asylum (BBC News). Tensions in Europe are high because certain countries have taken on a much greater burden than others, and there is disagreement over how to solve this problem. The journey to get to Europe is extremely dangerous, but migrants and refugees are willing to take the risk to flee the violence and human rights abuses in their countries. According to the UN Refugee Agency, over 3,000 people have died so far this year trying to cross the Mediterranean Sea. There have been multiple tragedies in 2015 involving shipwrecks and drownings. Given that the UN predicts one million migrants will reach Europe by the end of 2016 (EuroNews), this human rights crisis needs to be thoroughly addressed immediately. Keeping in mind Article 14 of the Universal Declaration of Human Rights, these refugees must be granted asylum. They have fled their homes and all they have ever known, and should be welcomed with care and concern. The European Union countries need to work harmoniously to remedy this devastating situation in the short term, but also come up with a concrete, sustainable long-term plan. In addition, the root cause of this refugee crisis – the ongoing violence and conflict in these war-torn countries – must be addressed and prevented.